Mastronardi applied to register ZIMA as a trade mark in class 31 for tomatoes. The Registrar refused the application on the grounds that it was not inherently adapted to distinguish. Gordon J has now upheld Mastronardi’s appeal and directed the trade mark be registered. “the word ZIMA appears to be a reference to a single kind of tomato plant and its fruit” and that the trade mark “lacks any inherent adaptation to distinguish the Applicant’s tomatoes as it appears to be an appropriate description of the goods in respect of which it is to be used”. As the trade mark had not been used in Australia before the date of the application to register it, therefore, it failed. The question fell to be determined under the old form of s 41 (although it should be the same under the (it is hoped, more clearly expressed) new form. Thus, a sign is registrable as a trade mark if it is “inherently adapted to distinguish”. Both Mastronardi and the Registrar accepted on the appeal that, even under the old form of s 41, a sign is presumed to be inherently adapted to distinguish unless the Registrar (or the Court) is (positively) satisfied it is not. the likelihood that other persons, trading in goods of the relevant kind and being actuated only by proper motives – in the exercise, that is to say, of the common right of the public to make honest use of words forming part of the common heritage, for the sake of the signification which they ordinarily possess – will think of the word and want to use it in connexion with similar goods in any manner which would infringe a registered trade mark granted in respect of it. (2) how likely is it that other persons, trading in tomatoes and being actuated only by proper motives, will think of the word ZIMA and want to use it in connexion with tomatoes in any manner which would infringe a registered trade mark granted in respect of it? As it was an wholly invented word, with no meaning, the answer to the first question was easy: it wouldn’t convey any meaning. The Registrar argued on the second question that ZIMA was in fact, and was treated by other traders, as the name of a particular variety of tomato. The expert evidence before the Court, however, disclosed that “variety” in the context of tomatoes was a very rubbery (no pun intended?) term and, while there were a few varieties of tomato registered under the Plant Breeder’s Rights Act, thousands were not. More directly, Mastronardi’s evidence was that it did not source its ZIMA brand tomatoes from just one variety. In Australia, there are apparently 50 different cultivars of orange grape tomatoes; Mastronardi used only six of these and only two were supplied to it exclusively. Moreover, when it launched its product in Australia, it had been very careful in its usages referring to its ZIMATM golden grape tomatoes or sweet orange grape tomatoes or golden snacking tomatoes. 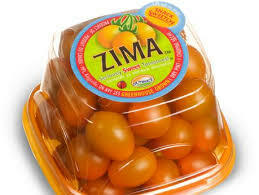 So, it followed that other tomato suppliers had a range of terms they could use to describe their own sweet orange/golden grape tomatoes and, therefore, ZIMA was inherently distinctive. Her Honour’s decision highlights the importance of careful use of trade marks, particularly if there is a risk the trade mark may become the commonly accepted term for a variety or type: the trade mark should be used as an adjective and not as a noun (or verb). This is a problem that practices in the pharmaceutical industry have had to grow up to develop – a different name for the active ingredient to the “brand” name – but, as this case shows, of potentially much wider application. It is also interesting that her Honour has directed that the trade mark be registered rather than accepted and advertised. Kitto J in Clark Equipment Co v Registrar of Trade Marks (1964) 111 CLR 511 at 514. ? The date of Mastronardi’s application to register its trade mark in Australia. ? See also s. 25. ? Which in some cases carries the risk of opposition. ? The Full Court has dismissed both Bluescope’s appeal and Gram’s cross-appeal from the ruling that Bluescope infringed Gram’s registered design for the Smartascreen fencing panel. This is an “old Act” case. 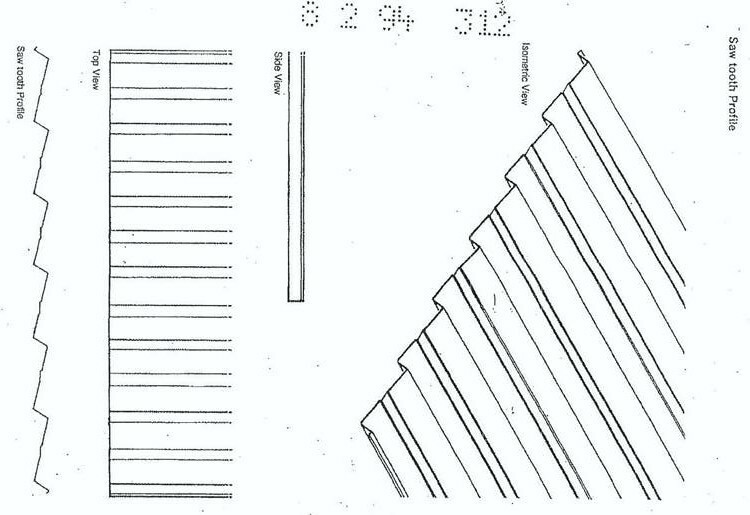 At first instance, Jacobson J held that Bluescope’s product was an obvious imitation of Gram’s registered design. However, his Honour rejected the allegation that it was also a fraudulent imitation. Bluescope (then Lysaghts, part of BHP) had long been the market leader for fencing made from metal sheeting. There was a problem, however: one side of the fence was less desirable because the posts and rails supporting the cladding were visible. Gram came up with its Gramline solution which was symmetrical, looking the same from both sides. It quickly usurped Bluescope’s position as the market leader. Bluescope then spent (roughly) 6 years trying to come up with a competing design. In the course of doing so, it rejected a number of alternatives in favour of one that so closely resembled Gram’s product that the two could be stacked one on top of the other. (e) however, considerations of utility have no relevance to the proper construction of a design. “the primary feature was the sawtooth pattern consisting of six identical repeating pans, oriented vertically. The sawtooth pattern was the product of the unique proportions of the wavelength, amplitude and angles of each sawtooth module”. It was this combination of features, which contributed to the symmetricality of the product, that ultimately conferred the design with novelty and which were taken by Bluescope, leading to the finding of obvious imitation. Three points of note on these parts of the case. While considerations of utility are not relevant, designs cannot be construed without context. It is often the case that features of the article to which the design applies, will serve both visual and functional purposes. Where this is the case, the implication of BlueScope’s submission is that the feature’s appearance and utility must be divorced. However, a design without context is a meaningless drawing. As Lockhart J observed in Dart Industries 15 IPR 403 at 408, the design is ‘the mental picture of the shape, configuration, pattern, or ornament of the article to which it has been applied’ (emphasis added). It is inescapable that the Design is for sheet metal fencing and the construction of the Design must reflect this. That is, because the design was for a sheet metal fencing panel which “worked” in one way, it should be interpreted in the way (presumably) those who would use it for that would understand it. the nesting qualities are instructive. As has been discussed at length, the combination of amplitudes, wavelengths and angles create the sawtooth profile. For the GramLine and Smartascreen sheets to nest, albeit imperfectly, they must by logical extension, have similar amplitudes, wavelengths and angles. This is clearly helpful in deciding if Smartascreen is an obvious imitation of GramLine, and it was entirely open for the primary judge to be assisted by the nesting properties of the two articles. It is further relevant because as noted above, an obvious imitation is not one which is the same as the design, but one that is an imitation apparent to the eye notwithstanding slight differences. Care definitely needs to be taken with this as the physical embodiment of the registered design is not always the same as the design and the comparison must be between the accused product and the registered design. It is important to note, therefore, that the Full Court treated this as confirming or reinforcing the view based on comparison of the appearance of the infringing article to the registered design. Thirdly, the Full Court considered the trial judge had impermissibly taken into account Bluescope’s commercial objectives – to introduce a product to compete with the Gramline product – in deciding whether or not the Smartascreen was an obvious imitation. With respect that must be right as the test of obvious imitation is an objective test based on visual resemblance. 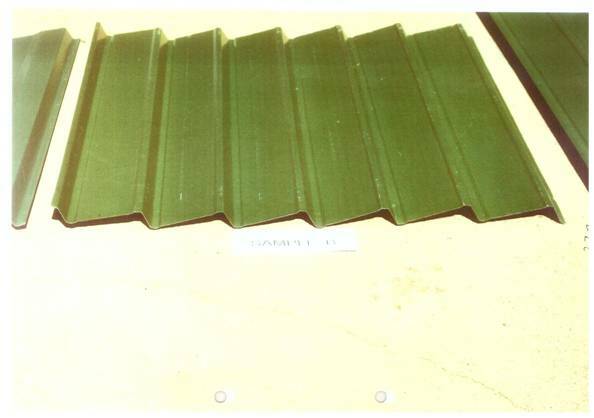 Yates J, however, was prepared to accept at  to  evidence such as that Bluescope was attracted to the design because “it had a similar appearance to the GramLine sawtooth profile and would gain ready market acceptance” as a kind of expert evidence about the similarity of Bluescope’s product to Gram’s design. the application of a “fraudulent imitation” requires that the application of the design be with knowledge of the existence of the registration and of the absence of consent to its use, or with reason to suspect those matters, and that the use of the design produces what is an “imitation” within the meaning of par (a). This, to apply the general principle recently exemplified in Macleod v The Queen, is the knowledge, belief or intent which renders the conduct fraudulent. [T]he essential questions are, first, whether the allegedly infringing design is based on or derived from the registered design and, then, whether the differences are so substantial that the result is not to be described as an imitation. …. In our opinion, it must be shown that there was deliberate, in the sense of conscious, copying for there to be fraudulent imitation. If imitation imports the notion of making use of the registered design, there must be at least a conscious use of the registered design before it could be concluded there was fraudulent imitation. Bluescope had adopted a panel size of 762mm which was the same as Gram’s but different to the standard 820mm panel prevailing in the industry at the time. His Honour was also “sceptical” of Bluescope’s claim that the resemblance to Gram’s design was coincidental. Gram argued that, given these findings, what other conclusion could there be but deliberate copying. The Full Court upheld the trial judge’s refusal to find the Smartascreen was deliberately based on the Gramline design. Two factors seem to have played an important role here. First, the Full Court accepted at  that an allegation of fraudulent imitation was a serious matter and the level of proofs needed to reflect the gravity of that. Secondly, the evidence showed that the Bluescope employees who came up with the final design from 2000 onwards were influenced by, or at least referred to, design work done by a Mr Field in 1996. Mr Field did not give evidence so it was not clear on the evidence what influences or references he made use of. Now, in many cases, the unexplained failure of a key player in the design process to give evidence (especially when there are inferences (at least) suggestive of copying available) might be sufficient to give rise to a Jones v Dunkel that the witness could not say anything helpful to the defendant’s case. Here, however, Mr Field’s absence was explained: he was old and in very poor health. His design work had taken place in 1996 very early in the picture. Moreover, Bluescope’s product had been introduced in 2002. Gram had of course known about it pretty much straightaway, but had delayed until 2010 before taking action. One may speculate, therefore, that the Court was not willing to allow Gram the benefit of negative inferences when its own delay had contributed to the witness being unavailable. Given the transitional provisions, there are potentially almost 6 more years for designs for designs under the old Act to still be in force. Design applications that were pending on 17 June 2004, when the 2003 Act came into force, continue to be governed by the old Act’s provisions for validity and infringement unless they were “converted” to “new” Act designs. ? Full Court at ,  –  (Besanko and Middleton JJ),  –  (Yates J). ? Full Court at  – , with a useful summary of the key principles at  (Besanko and Middleton JJ). There were differences between the Smartascreen’s appearance and the registered design, but these were treated as insubstantial:  (Besanko and Middleton JJ) and ff (Yates J). ? Yates J to similar effect at e.g. , . ? IP Australia has published consultation paper on the Plant Breeder’s Rights Advisory Committee. The PBRAC is established under the Plant Breeder’s Rights Act 1994 to advise the government about issues arising under the Act. As part of the Government’s commitment to efficiency and streamlining the public service, the National Commission of Audit recommended that the functions of PBRAC be considered for consolidation into the department with portfolio responsibility for PBR. The Government, through IP Australia, is now seeking input about the role of PBRAC and whether there are other, more efficient ways to access the technical expertise that PBRAC is expected to provide. Submissions are sought by 31 October 2014.
ps The National Commission of Audit also questioned the continuation of ACIP, but that will be the subject of a separate paper. The way the press is reporting it, the Minister for Communications – one of the two Ministers who released the Online Copyright Infringement discussion paper in July – recognises it’s back to the drawing board in light of the (apparently) unanimous disapproval. You can find the submissions received here (apparently they are being uploaded over time). Will the ISPs voluntarily sit down and negotiate a warning system with the copyright owners? Do we really want the copyright owners and the ISPs coming up with their own scheme without “our” input? The Commissioner of Patents has power to refuse an application even after it has lapsed (but is still capable of revival by payment of “late” fees). The Full Court has also affirmed the Commissioner’s power to set a two month time limit for response (especially where she actually allows six months) and to institute a hearing on her own motion. In December 2011, Miles requested examination of his patent application. In May 2012, the Commissioner’s delegate raised objections to grant, giving Miles two months in which to overcome the objections or risk the Commissioner making a direction to amend under s 107 or refusing the application. In September 2012 (i.e., 4 months later), the Commissioner wrote advising that, as no response had been received, the matter would be set down for hearing and allowing one month for submissions to be filed. The Commissioner’s letter warned that it was possible for the Commissioner to refuse the application or direct amendment and inviting Miles to submit his own amendments. October 2012 was the fifth anniversary of the application and continuation fees were payable. Miles did not pay the continuation fees. On 1 November 2012, the Commissioner refused Miles’ application on the basis that objections to grant had been appropriately raised and not overcome. On 28 March 2013, Miles paid the continuation fee (under s 142) and sought to amend the patent application. The Commissioner said “bad luck, your application has already been refused” (or words to that effect). Miles sought judicial review under s 39B of the Judiciary Act unsuccessfully. The Full Court (Bennett, Greenwood and Middleton JJ) dismissed his appeal. Miles’ first argument was that the Commissioner had no power to refuse his application (in November 2012) because his application had already lapsed in October 2012 when he failed to pay the continuation fees. >(b) the period in which the fee must be paid is the period ending at the last moment of the anniversary. >(c) the additional fee is payable from the first day of the 6 month period. Reg. 13.3(1) and (1A) were not to be read in some bifurcated manner, but in combination. This meant that, if the continuation fee was paid in the 6 month grace period, the “prescribed period” was extended up until the date the fee was paid, i.e. 28 March 2013. As the continuation fee was paid in this case within the 6 month period, therefore, the application was still on foot when the Commissioner refused it in November 2012. The Full Court went on to reject Miles’ arguments that the Commissioner had no power to set a two month time limit for response to the Examiner’s report in May 2012 or to unilaterally institute a hearing. One “odd” outcome of this, however, is that Miles’ application would indeed have lapsed in October 2012 if he had not paid the continuation fee in the grace period. In that case, the Commissioner would not have had power to refuse the application. I am not sure how that would help Miles either as, presumably, by that stage it would be too late to file another application. The Full Court essentially adopted the primary judge’s reasons at  to  and pointed out that Miles had been given opportunitites to address the grounds of objection and had failed to take any of them up. ? A Full Bench of the Federal Court of Australia (Allsop CJ, Dowsett, Kenny, Bennett & Middleton JJ) have dismissed the appeal in the Myriad litigation; upholding Nicholas J’s ruling that isolated genes and isolated gene sequences are patentable subject matter in Australia. Kim Weatherall has pointed out this is a different result to the ruling in the USA but, given the illogicality of the US Supreme Court’s position (e.g. here and here), surely that is no bad thing.